Lifelong relationships and year round supporters are we strive to build. We are fans of our clients and the work they do to change the world and make dreams come true. Scroll through our reviews below to learn more about the astounding experience. "TiWanna was excellent! She was flexible and very knowledgeable. She is a professional auctioneer that understands the purpose and was a blessing to our fundraiser! She helped us raise $110,000!! Thank you TiWanna and Astounding Auctions for helping us with our live auction!" TK did a great job under challenging circumstances. This was our first big fundraiser for the Bodhi Manda Zen Center in New Mexico, so I warned her it would be tough and it was. TK remained chill throughout working with a very diverse crowd, a slew auction items, and a meandering venue. And, she was especially gracious teaching us the ropes and preparing us for the auction. Glad to recommend her to others. Well done TK! Thanks! "Having TiWanna as the Auctioneer for our annual fundraiser, Rockin’ Round Up, was a transformational experience for the event. In addition to serving her functional role as auctioneer, TiWanna met several times with our events team and helped to develop fun and effective fundraising tactics that not only helped with the bottom line, but also enlivened the audience and contributed greatly to the wonderful experience of the event. She brought to the table independent high quality ideas to integrate our mission and highlight the work we do within several of the in-event fundraising activities. Her earnest and joyful presence, combined with acute strategic acumen, made her an integral part of our fundraiser. We couldn’t have done it without her"
​​​"Astounding Auctions was able to increase our fundraising goals for our 2016 Small Business Awards Gala in a manner that was part art and science. TiWanna has a unique charm that allows guests to enjoy giving additional donations. For many attendees, her auctioneering was their favorite part of the event. She creates amazing energy to help organizations reach their bottom line." "I loved working with TiWanna for our school's fundraiser. She not only brought her personality to the event, but understood the importance of the great need to raise a significant amount of money to support our school community. With her help, we exceeded our goal by 40% and were able to contribute to the school's well-being in a bigger way than we even imagined." "We had a Gala for our company and did a live auction. We had TiWanna do our auction for us, based on seeing her at a previous event. She traveled from Austin to San Antonio. She did an awesome job on the auction. She was engaging, energetic with the audience and brought in more than we expected on the auction items. This was the first time that we used an auctioneer and we will definitely use her again for our future events." 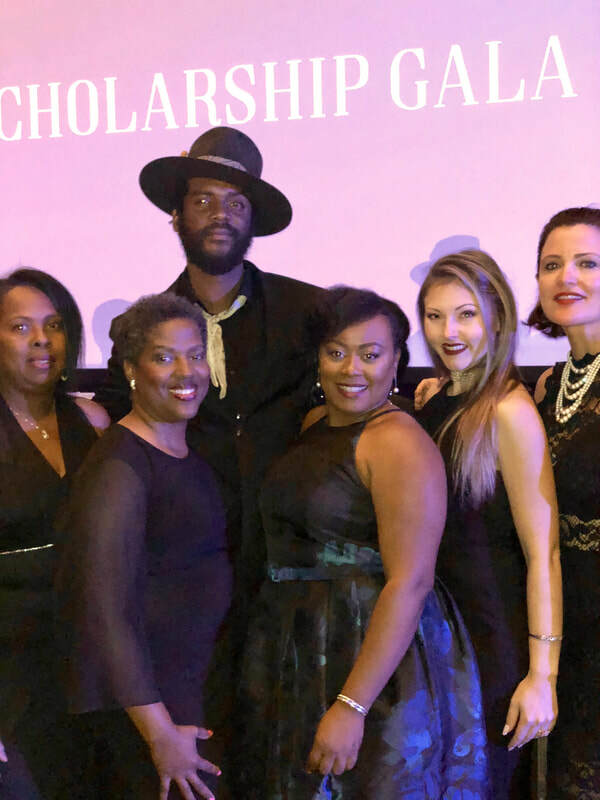 ​"The Project Schoolhouse event for which TiWanna was the auctioneer was raising funds to help continue their work, building schoolhouses and water systems in rural Nicaragua. The activities included a silent auction for lower-valued items and services, culminating in the live auction led by TiWanna, during which she led the pitching and bidding of the “marquee'” items for the event, including a week’s stay at a mountain retreat in Colorado, and another week's stay at a beachfront villa in Costa Rica. To make a long story short, the event was a resounding success and it raised approximately $5,000 more than what was hoped, and just over ½ the cost of building one full schoolhouse in Rio Blanco, Nicaragua! This was due primarily to TiWanna's effective, masterful and fun live auction performance. Project Schoolhouse is ever grateful to TiWanna for her generosity, her expertise, and her dynamite personality. As mentioned earlier and is worth reinforcing -- she is a natural auctioneer!"